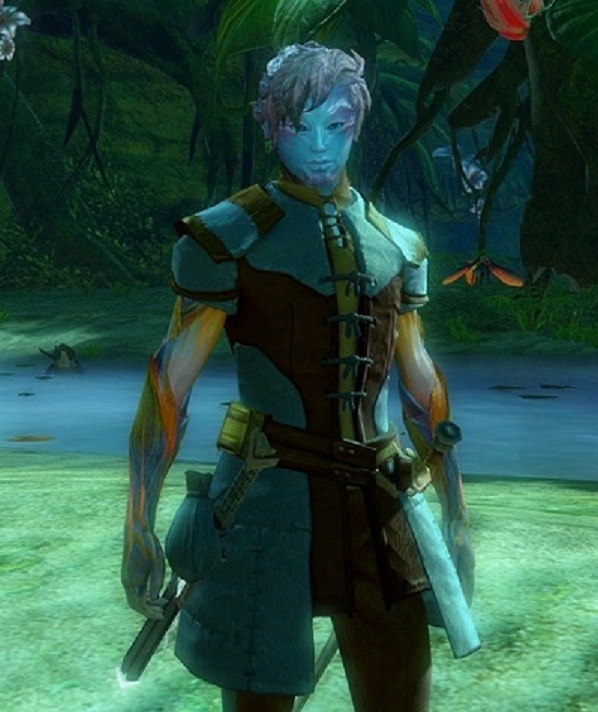 I'm Liverius, Sylvari Ranger on the Guild Wars 2 server, "Tarnished Coast (NA)". (I wanted to call him "Livius", but someone grabbed the name before I did). "Though trouble may follow me, I overcome it with dignity. The Pale Tree awakened me during the Cycle of Dawn and the most important of Ventari's teachings is: 'All things have a right to grow.' While in my Dream, I dreamed about the Shield of the Moon and I'm called to find it." For me, GW2 is the best MMO I've ever played, but the worst administered. The Game: fluid and exciting combat system, dynamic events, dynamic level adjustment, dodge mechanic, best crafting system ever, beautiful landscapes, good storyline, at one time the best world PvP ever. The Admin: ArenaNet tends to "fix" things that aren't "broken." Best example: world PvP, aka "WvW" (world vs world vs world). With the original "alpine" maps, there were issues, but the system overall worked and was the greatest PvP adventure I ever experienced. Then they changed over to "desert" maps which, by their layout and content, nullified all the plus-points of the alpine maps. For me, it ruined the WvW experience and ultimately, my reason for playing the game at all.